Sony has two new phones to announce here at CES in Las Vegas – Along with the Xperia Z1 Compact, Sony also announced a new variant of the current Xperia Z1, only available for T-Mobile US customers named Xperia Z1S, Aside from the extra letter and doubled storage, it's identical to Sony's international flagship. One of the few changes in the model is the presence of 32GB onboard memory instead of 16GB on the international model. The new model continues to have the microSD card slot. 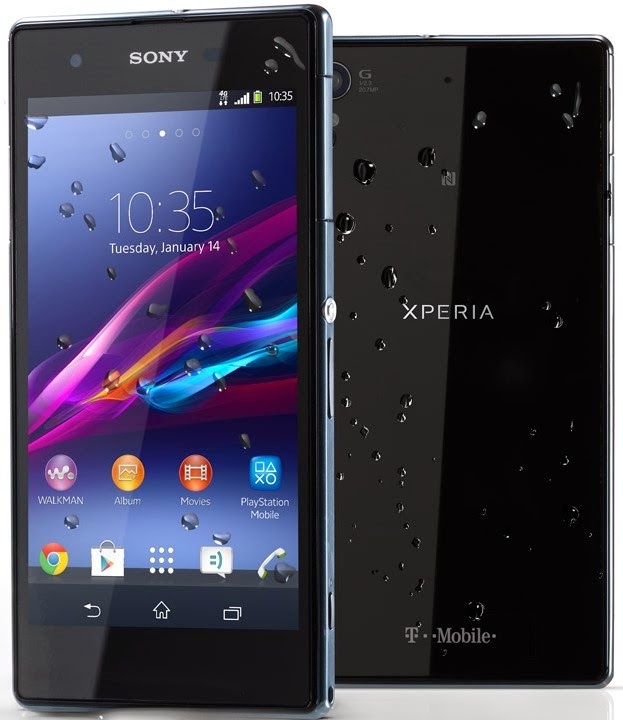 Beside the Xperia Z1 Compact is a smaller 4.3" phone that keeps most of the premium features. Sony Xperia Z1S has a change in the camera app. That is the presence of the Background Defocus option for the camera that lets you defocus the background in photos for a shallower depth of field. The headphone jack on top has been moved to the center from the near the left side on T-Mobile's request. Lastly, Xperia Z1S comes with a six movies to download from Video Unlimited, including Captain Phillips, on the day of its digital release, 10 handpicked PlayStation®Mobile games, and a 60-day free trial of Music Unlimited. The Xperia Z1S will be available only in Black color in T-Mobile's website from January 13 and from T-Mobile stores from January 22. It will be priced at $22 per month for a 2-years contract and if you purchase it along with the Sony PlayStation 4 you get a $100 rebate via Visa gift card.